Tech men’s Basketball continues to march on against all expectations. This Tuesday they beat Cal State Bakersfield 76-61. 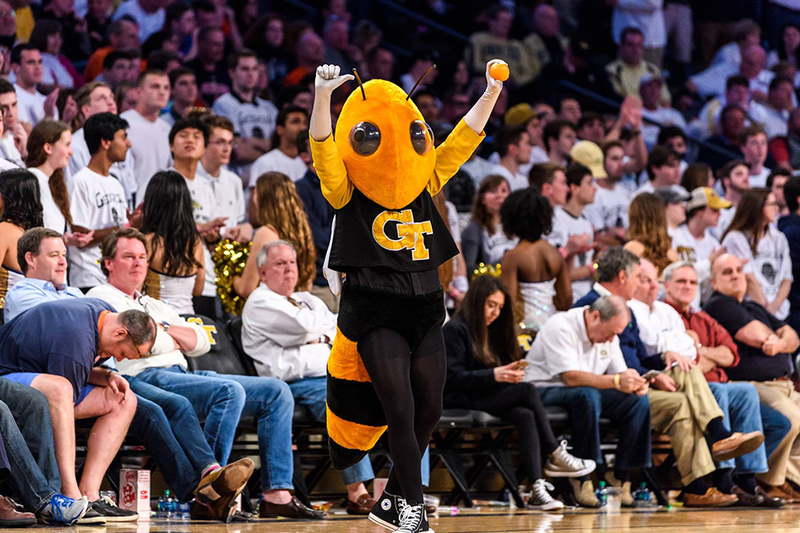 The win was the second straight wire-to-wire victory for the Jackets following their win against Ole Miss 74-66 in Oxford, MS.
Tech’s current four-game win streak in the National Invitation Tournament (NIT) has come on the back of a strong offensive performance. After Tuesday’s game, the Jackets are 17-0 when scoring above 70 points this season; in all four of their NIT games they crested that mark. The offensive performance has been led by freshman Josh Okogie with other players chipping in for one or two of the games; Okogie has topped 20 points in each game with impressive efficiency. The Jackets entered the NIT being given the No. 6 seed in the section of the bracket headed by ACC rival Syracuse. Through some luck and dwindling faith in a head coach, Tech hosted their first-round game against the 3-seed Indiana. The Hoosiers, uncomfortable with the idea of hot-seat coach Tom Crean being booed in front of a home crowd on national television, agreed to play at McCamish Pavilion. Head coach Josh Pastner paid for all student tickets to the game to pack the house in hopes of bringing home the win. The energy in the dome was electric as Tech pulled away late to a 75-63 victory. Throughout another stroke of luck, higher seeded Georgia dropped their matchup to Belmont. Tech hosted Belmont the first Sunday of spring break with Pastner continuing to buy student tickets while also tacking on 1,800 Krispy Kreme donuts for fans attending the game. The Jackets grabbed a lead halfway through the first half and did not look back with their 71-57 win. With the win against Belmont, Tech travelled to Oxford, Miss. to face Ole Miss after the Rebels upset 1-seed Syracuse. The road has been a tough place to play for the Jackets this season. With only two wins on the road heading into their game against Ole Miss the odds were stacked against them. The Jackets had played a solid pair of tournament game, but it was here that their streak was supposed to meet its end. But Tech jumped out to an early lead and held it for the entire game. A scary moment came in the second half when Ole Miss came within four points and a packed arena roared to life, but Tech kept the lead and punched their ticket to New York City. Tech faced upstart No. 8 seed California State University — Bakersfield, who had made their tournament run in a similar style to Tech. Both teams came into the game as great defensive teams, but Tech came out swinging early and continued their hot streak, even away from home. The win gave Tech its second ever berth in the NIT finals, with its first coming in 1971, 46 years ago. The tournament was much smaller back then, and every game was played in Madison Square Garden. Tech reached the finals with wins over La Salle, Michigan and St. Bonaventure. After the time of writing, Tech will have faced off with TCU to determine who wins the 2017 National Invitation Tournament, an accomplishment that has catalyzed the likes of South Carolina and Baylor in recent years. TCU’s path to the NIT finals has been quite different than Tech’s. The No. 4 seed from the Iowa region began their run with a close win over Fresno State. They then travelled to Iowa to face off against the top seeded Hawkeyes. In a slugfest, the Horned Frogs came out with a 94-92 victory. They then punched their ticket to Madison Square Garden with a rout over Richmond. Tuesday night, after Tech took down Bakersfield, the Horned Frogs faced off with UCF. In the 68-53 victory, big man Vladimir Brodziansky was the leading scorer with 18 points in only 22 minutes on the floor. The biggest takeaway from this game was the offensive outburst from the Horned Frogs in the second half. TCU outscored UCF 39-22, showing that much like Tech, the second half is where they shine. The biggest key for Tech will be holding steady on defense and forcing turnovers. A cursory glance at TCU’s tournament run shows they can put up plenty of points, but also winning in slower, more drawn out games. Junior Ben Lammers has been on a hot streak, but will have his work cut out for him against Brodziansky. That will be the matchup to watch, and it will be important that Okogie and the rest of the team continue their offensive outburst. If the Jackets come out early like they have so far this tournament their chances are great for bringing home a postseason title.